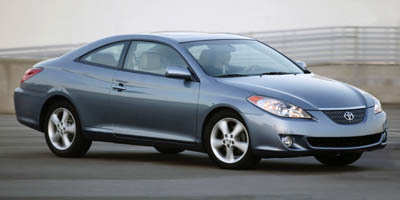 Get behind the wheel of our hard to find 2005 Toyota Camry Solara SE Coupe shown in Cosmic Blue Metallic . Powered by a dependable 3.3 Liter V6 that provides 225hp while connected to a smooth shifting 5 Speed Automatic transmission. Our Front Wheel Drive offers up to 29mpg on the open road. Inside our sporty coupe, you will find multi-information display controls, a huge sunroof, AM/FM stereo with CD player, as well as daytime running lights to name just a few. Toyota offers 4-wheel ABS and plenty of airbags headline the safety features. This Camry Solara SE is just waiting to provide you with the style of a sporty car. Don't delay...Print this page and call us Now... We Know You Will Enjoy Your Test Drive Towards Ownership! Accident free and 16 service records per CARFAX!!!!! !